Tim Harrington is a leadership expert, a gifted speaker, instructor, author and consultant. Since 1996, Tim Harrington has been President of TEAM Resources, a firm that provides strategic planning, training, and consulting for financial institutions nationwide. Prior to that, he was a partner in a large regional CPA firm that is now known as Clifton Larson Allen and the president of Connelly Manufacturing. 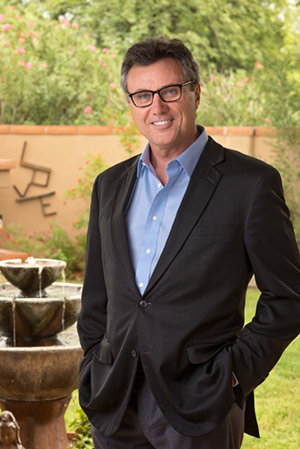 Tim was chairman of the board of the $150 million Tucson Old Pueblo Credit Union in Arizona from 2002–2006. During his tenure, the credit union evolved from losing more than $2 million per year to earning nearly $2 million per year. Tim is the author of Eisenhower on Enlightened Leadership. Through this book and the associated presentation he has guided businesses to improve their leaders and their focus. He believes that leadership is a skill, not a talent, making it learnable rather than an inherent character trait. Instead of focusing on outward, motivational leadership, Mr. Harrington teaches leaders to inspire a shared vision so people carry out what you want them to carry out — not simply because you want them to, but because they intrinsically want to. A very compelling public speaker, Tim has that rare ability to make the complex subject of learning leadership simple, accessible, and effective. He made his mark in the financial services industry teaching and speaking on a range of subjects: board governance, strategic planning, understanding financials, among others. His background as a CPA, coupled with his ability as a speaker and instructor made him a much sought after resource in making balance sheets and financials understandable to all backgrounds. He has continually expanded his expertise along the way.